For exactly a century, America’s national parks have been a natural choice for family vacations, but this year the timing is really perfect. In August, the National Park Service celebrates its 100th Anniversary and you can be part of the party. I really like a national park trip because it continues a great American tradition. You can get away to someplace really unique without investing a lot in airfares and travel time. Plus, if you can find a practical way to out-source the logistics, you and the whole clan can focus on the fun. And there is LOT more fun stuff to do besides looking at the sights. For example, we put together multisport Family Journeys that show off the most popular parks, pack in super-cool activities, and have a good time exploring the geology and history (Native American, pioneer and cowboy cultures, right through today). They all include fulltime guides to look out for the needs of both kids and adults. On top of that, all of the where to stay/where to eat/what to do is taken care of for you. That formula works great at Glacier National Park, one of the granddaddies of them all (founded in 1910). The mountains, glaciers, and wildlife from mountain goats to eagles are what you expect. To keep it from being just a spectator sport, you can also mix in whitewater rafting, a cowboy cookout, and the kind of timber lodges you see in the movies. 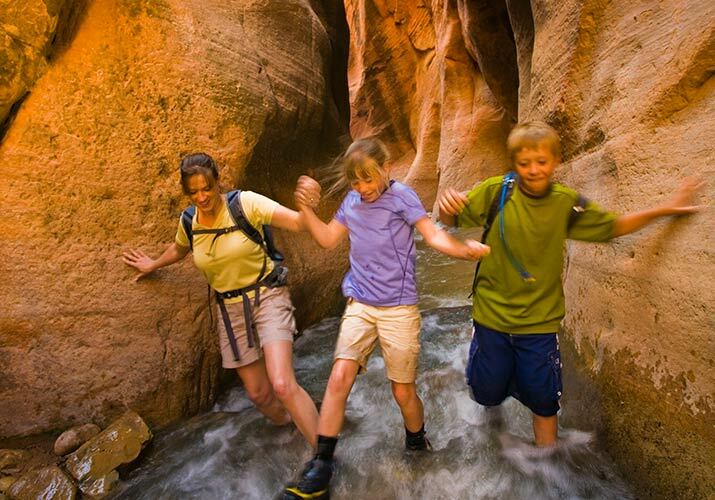 Another best best bet is to link Bryce, Grand Canyon and Zion, which you can easily do on a single trip. The landscape is awesome, but you avoid the “this red-rock formation looks like the last 47” syndrome by adding in boogie boarding on sand dunes, mule rides, river tubing and other activities that can really push everybody’s happy buttons. To see Alaska, a lot of families default to cruises, which is too bad in a way because you only see the edge of Alaska. 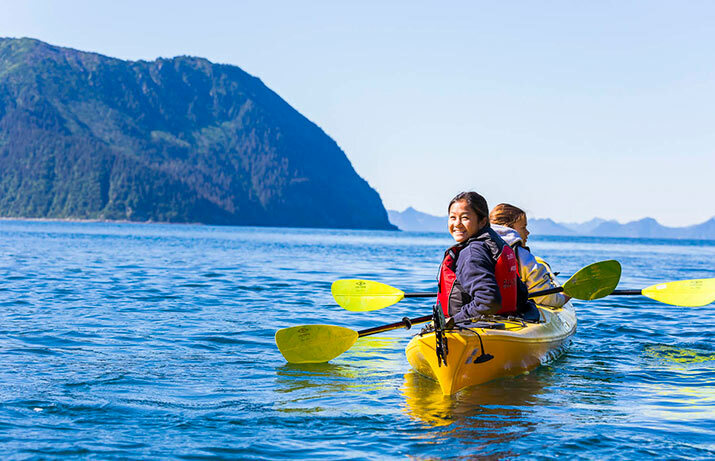 Base your visit on land, including Kenai Fjords National Park, and the experience is completely different. You get to gold mines and go sea kayaking with seals and moose spotting and tide pooling. That’s why I say “park” the kids this summer. The season is peak weather in all of these parks. I love going on a vacation that’s so easy to pull off. I always feel proud to be an American when I see these places and especially when I introduce my kids to them. After 100 years, visiting a national park is still one of the best vacation ideas there is!